The entry-level Preferred model is priced at $45,599 and a snazzier Ultimate edition bears a sticker of $51,999. 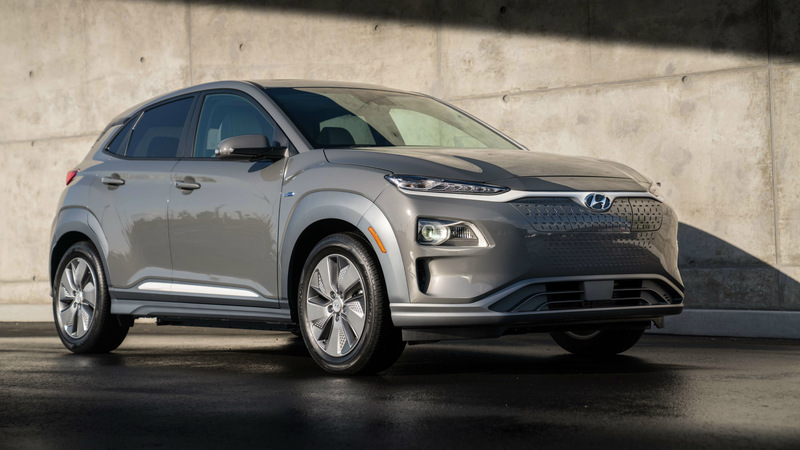 Fans of all-electric motoring will soon be able to select a dish from the Korean menu, with Hyundai’s Kona EV set to appear in Canadian showrooms in January. The company has announced that two trims will be offered in this country: an entry-level Preferred model priced at $45,599 and a snazzier Ultimate edition bearing a sticker of $51,999. 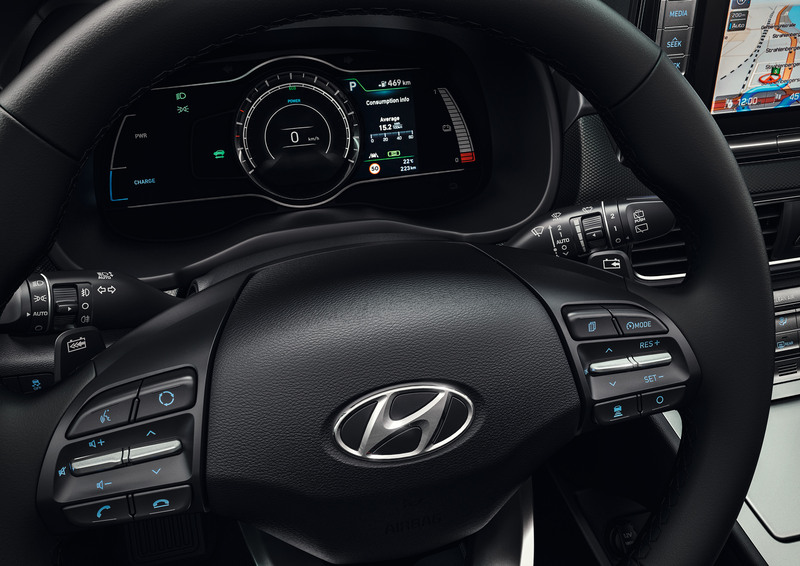 As is the Hyundai M.O., both models will be packed with features in an effort to pump up their value proposition. 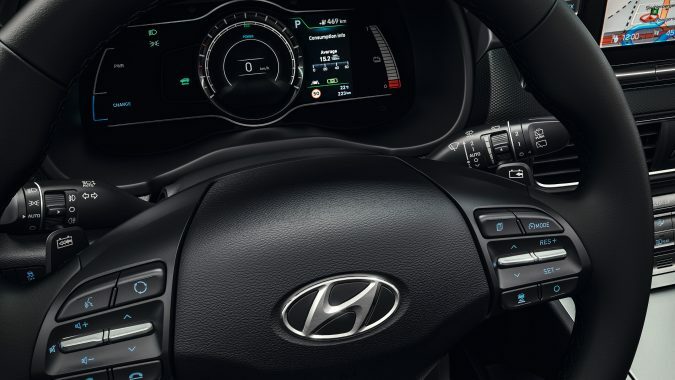 Kona Preferred trims will be fitted with a heated steering wheel and front seats, plus goodies like Apple CarPlay and Android Auto in the infotainment system. 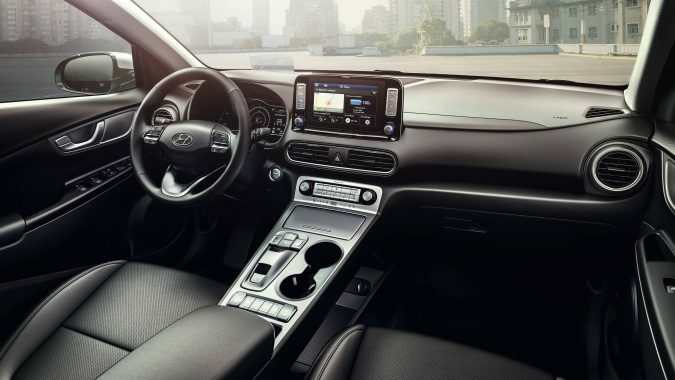 Hyundai’s so-called SmartSense suite of safety nannies is also included at the lower price point, a system that endows the small crossover with items like forward collision avoidance and adaptive cruise control. 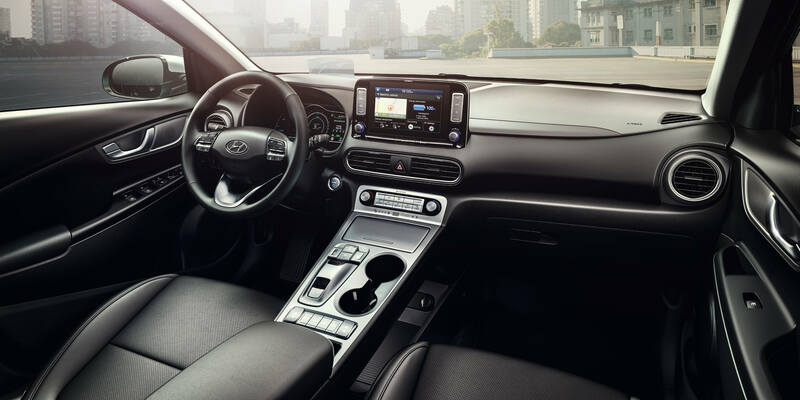 Those who choose to make the $6400 walk up to the Ultimate trim will be rewarded with leather seats, an Infinity audio system, ventilated front seats, and LED headlamps. The odd heads-up display that is popping up in other Hyundai machines will appear on this rig as well. In a nod to drivers here in the Great White North, both versions will be equipped with a battery-temperature management system designed to mitigate the loss of battery charge in cold weather. Anyone who has tried to use a smartphone outdoors in December will know why this is important. By reversing the existing air conditioning cycle, the heat pump will also adjust coolant circulation when the driver calls for warm air from the HVAC vents to use external heat – such as from the electric motor, inverter, and other external sources – and redirect it for interior heating purposes. 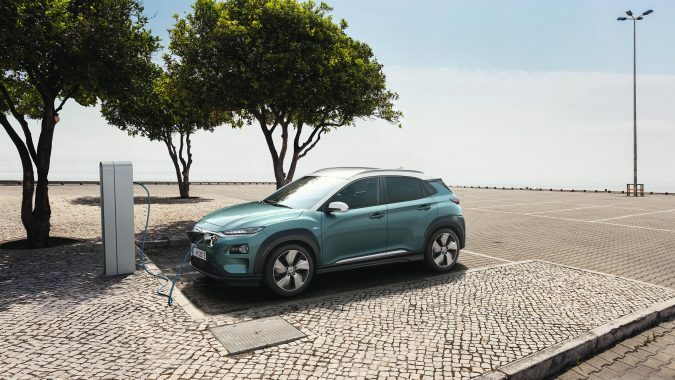 Behind the charging flap on the Kona EV’s nose will reside the capability to accept a quick-charging plug, allowing the vehicle to charge its battery to 80% of capacity in just under an hour. It will take over 30 hours to charge it fully via a regular wall outlet, while a 30-amp 220V service will do the trick in about 9 hours. Putting all that electricity to good use is Kona’s 64-kWh electric motor, producing 201 hp and 291 lb-ft of torque funneled through a single-speed transmission. Hyundai pegs the estimated range for its new EV at a healthy 415km, a remarkable figure. Compared to its competition, this figure leapfrogs official numbers listed by other manufacturers for their EVs. Chevrolet estimates the all-electric Bolt will drive 383km on a single full charge, although that number can be stretched through judicious use of its regenerative braking system. 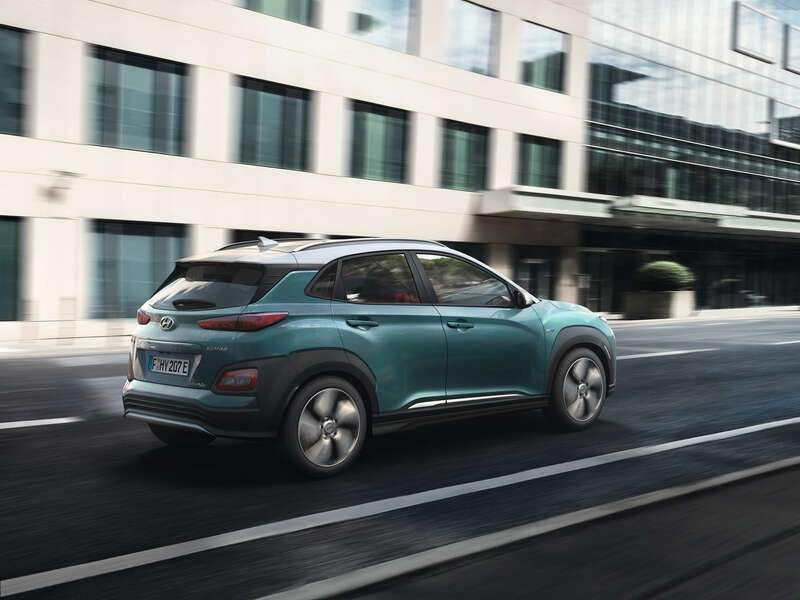 Look for the Hyundai Kona EV on dealer lots early next year.